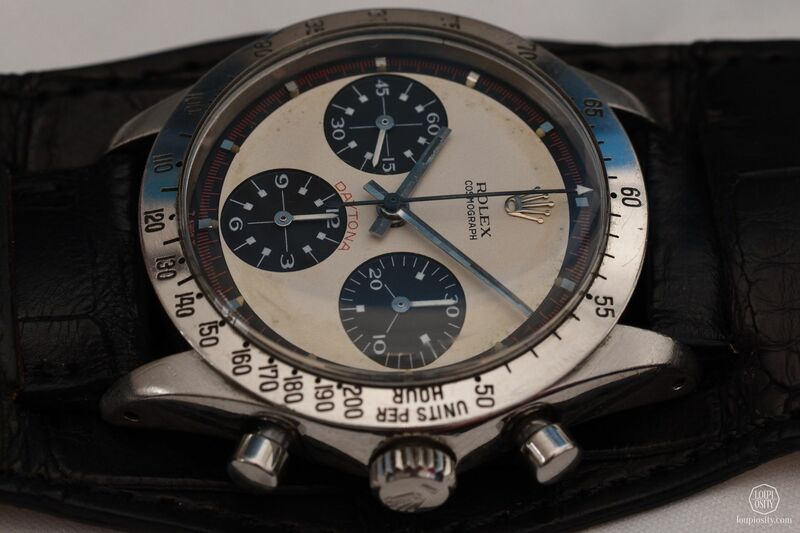 This autumn the WINNING ICONS auction of Phillips will offer probably the most important Rolex watches to ever appear on the market: including the one and only Rolex “Paul Newman” Cosmograph Daytona owned and worn by Paul Newman himself. 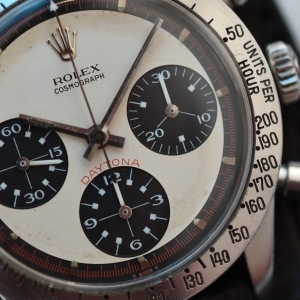 UPDATE: Paul Newman’s Rolex „Paul Newman” Daytona sold for to a bidder on the phone, for $17,752,500, (including premium). It’s no news that the vintage markets of all kinds are driven by emotions – and investment prognoses built on future emotions. Because sellers work on hypnotising potential buyers by lashing up known or unconscious affections, collectors must develop good enough knowledge about the piece they target: genesis, age, significance, condition, sources and value. Depending on the object, this could be a “homework” performed within a limited time. In other cases, separating valuable from useless takes a rather comprehensive wisdom with extensive experience. It is therefore invaluable to nurture a good relationship with trustworthy advisers. By the way, this is one reason why art fairs like TEFAF, where experts rigorously check the artworks for originality and quality, have become so important and appreciated among collectors. In all vintage markets, you have the educated hard-core aficionados and collectors with wealth and a developing knowledge. 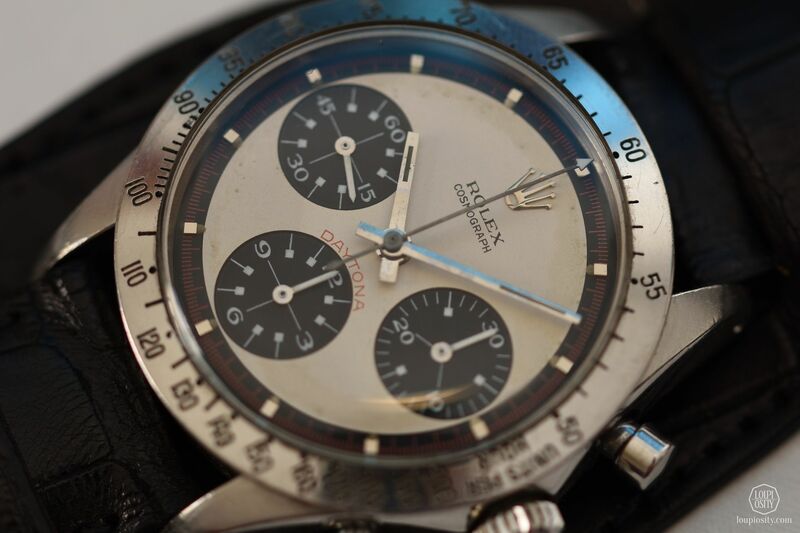 Due to its cool factor and wearability, fine timepieces have become increasingly popular, and the current tendencies in followers and prices are steep. New, unbelievable sales records are celebrated, always pouring a little gasoline on the fire. There is a good chance though that just as in the vintage car sales, the vintage watch market will start normalising one day. There’s an invisible attribute, which multiplies the emotional bond to vintage objects: its provenance. Just think about Elizabeth Taylor’s Legendary Jewels Sale in NYC in 2011, which became the “most valuable jewellery auction in history” (USD 115.9m total incl. 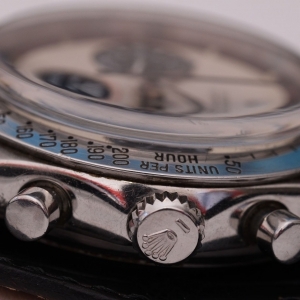 buyers’ premium) partially due to the pedigree of the pieces. Another thematic auction example was the sale of Lauren Bacall’s personal jewellery collection by Bonhams in April 2015. In the art and design front, David Bowie’s collection was sold by Sotheby’s last November with a record pre-sale viewing and auction attendance. 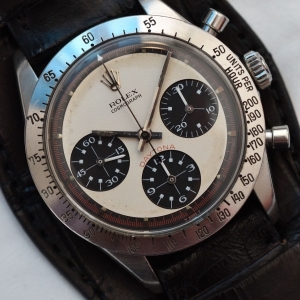 In May 2017, people held their breath when Aurel Bacs hammered a fantastic quality Rolex 6062 timepiece in original condition for more than CHF 5m – the most expensive Rolex ever sold at an auction. 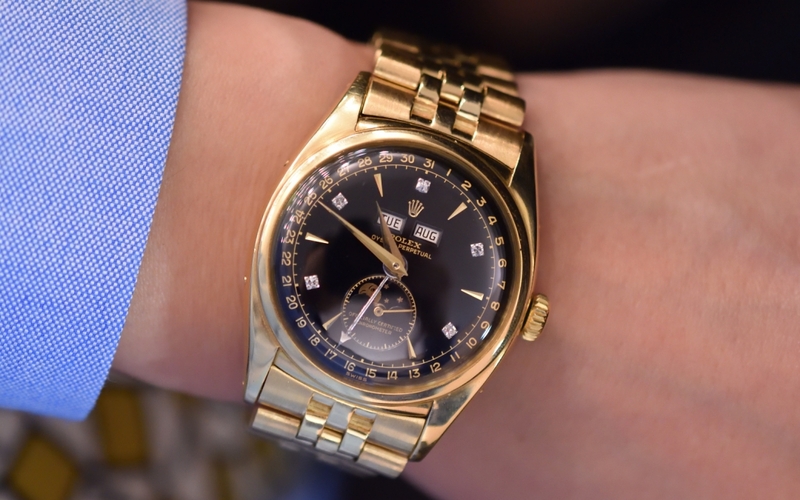 The watch used to belong to former Vietnamese emperor Bao Dai. 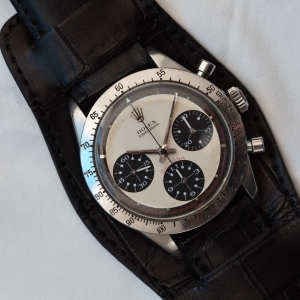 Phillips’ auction saw another beautiful example of the same model in steel, exchanging owners for CHF 1.93m (estimated for CHF 600,000 – 1,200,000). 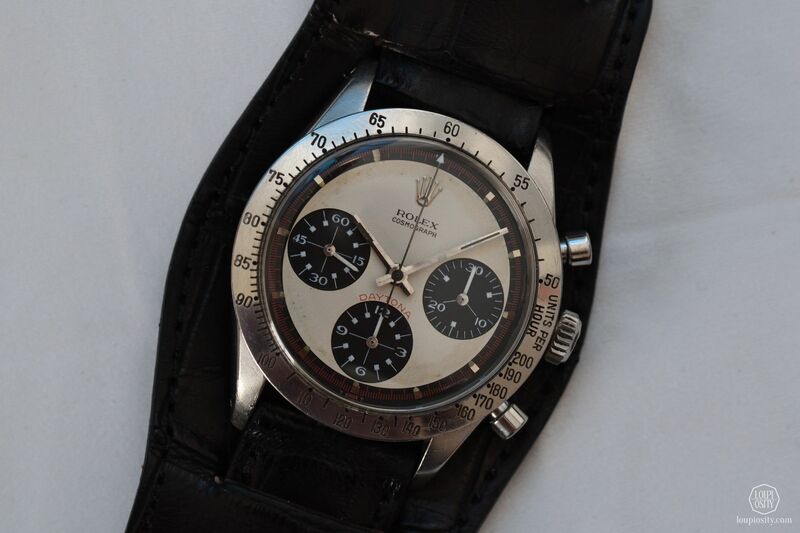 The difference between these enormous sale prices can be accounted for two parameters: rarity (the Bao Dai is one of the only 3 known black dial 6062 pieces with a unique layout, while 2 dozen steel pieces are known to have survived), and the provenance. 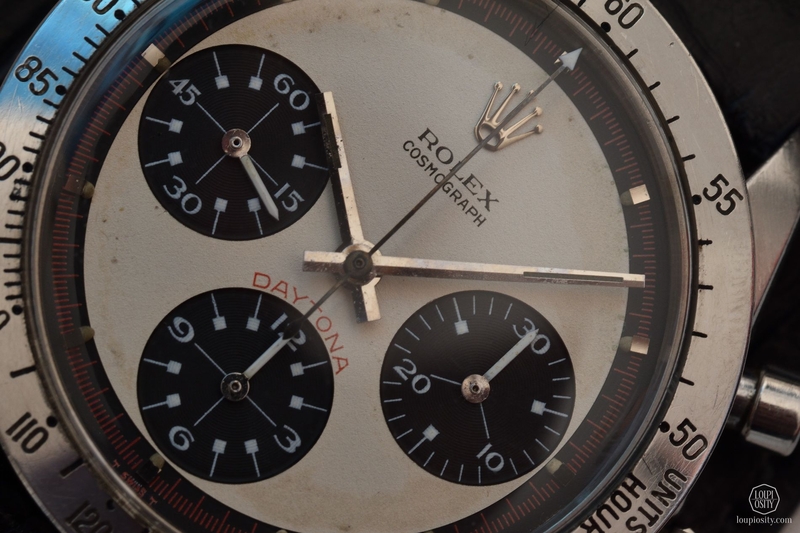 Rolex’s soaring at auctions is extremely visible in the Daytona line. The model, which was not particularly popular in the late 60s and early 70s, has a magical attraction these days. 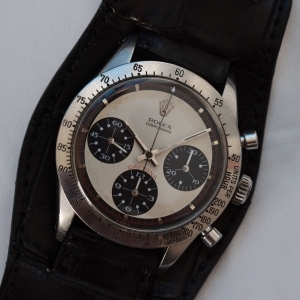 Christie’s (watch department lead by Aurel Bacs back then) organised a thematic sale in 2013 at the 50th anniversary of the line, and various references take the spotlight at all important auctions (Phillips: here, here or here; Antiquorum: here, here or here. 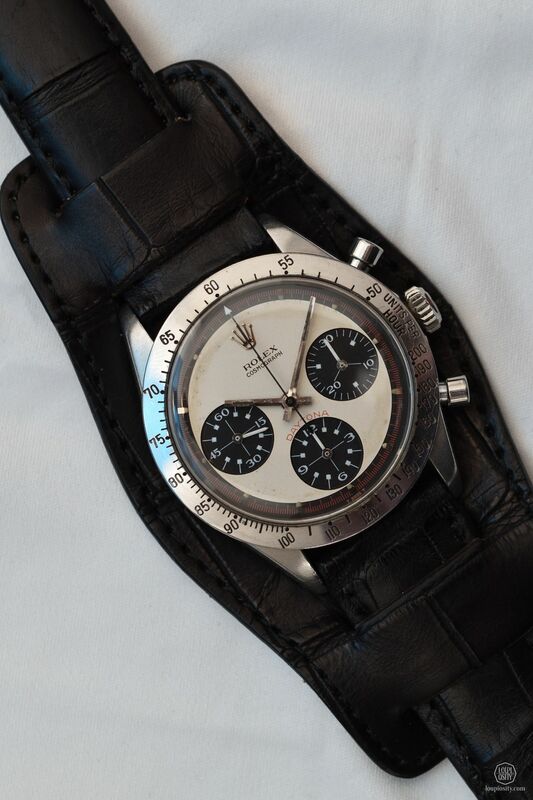 This June Phillips Watches announced that Paul Newman’s own white dial 6239 timepiece will become available for sale at their New York auction in October. Intended perhaps as a teaser, the house and Pucci Papaleo dedicated a travelling exhibition to the Daytona this year (currently in London until 28 July, and coming up in New York 20-26 October). 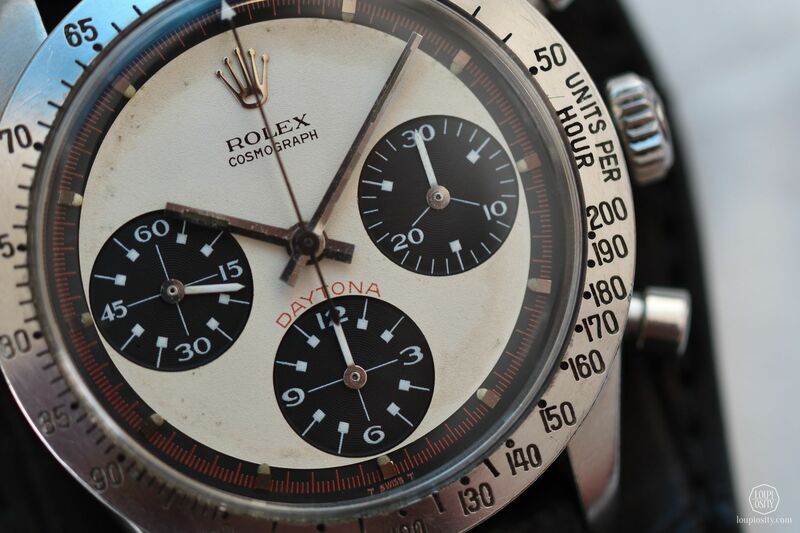 Having Paul Newman’s Daytona on the market, which basically lead the model to success, has generated enormous buzz. Although rare, unlike the ref. 6062 Bao Dai, this piece is not unique. 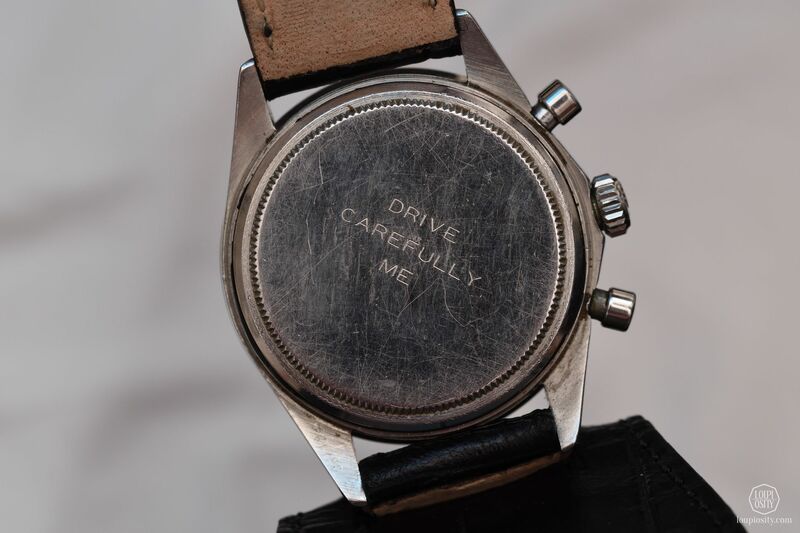 The only customisation is the engraving on the back with Paul Newman’s wife, Joanne Woodward’s message: “Drive Carefully Me”. 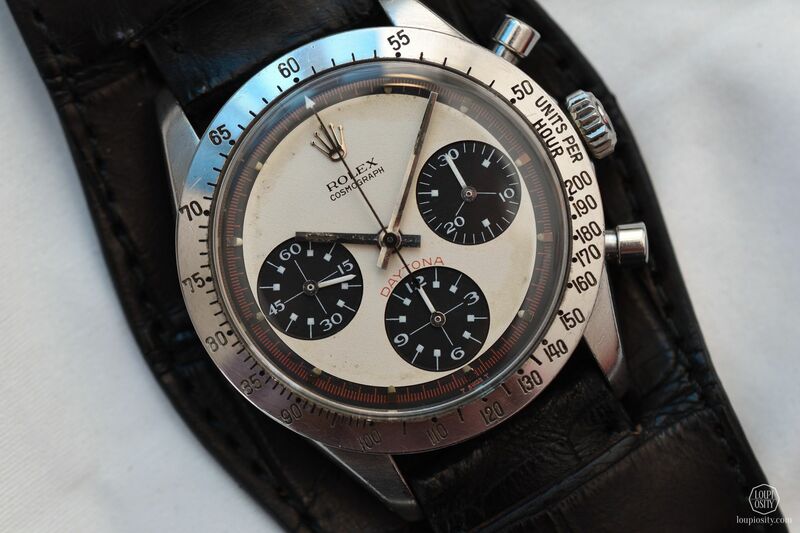 However, this single piece did not just help Rolex to start making money with the Daytona, but baptised a dial-configuration forever. The example was given as a present by Ms Woodward to Newman in 1972 and has been seen in a number of photos after that. After 1980 he gave it to James Cox, the lover of his daughter Nell Potts. It surfaces now to partially support her Nell Newman Foundation. For many emotional reasons, the “master instance” is expected to achieve beyond the Bao Dai piece. As we pointed out in our article, Bao Dai emperor’s judgement has not been unambiguously positive throughout history. On the other side, Paul Newman has been a modest Hollywood super-star, who besides acting had a successful car racing career and lived a generous philanthropic life. 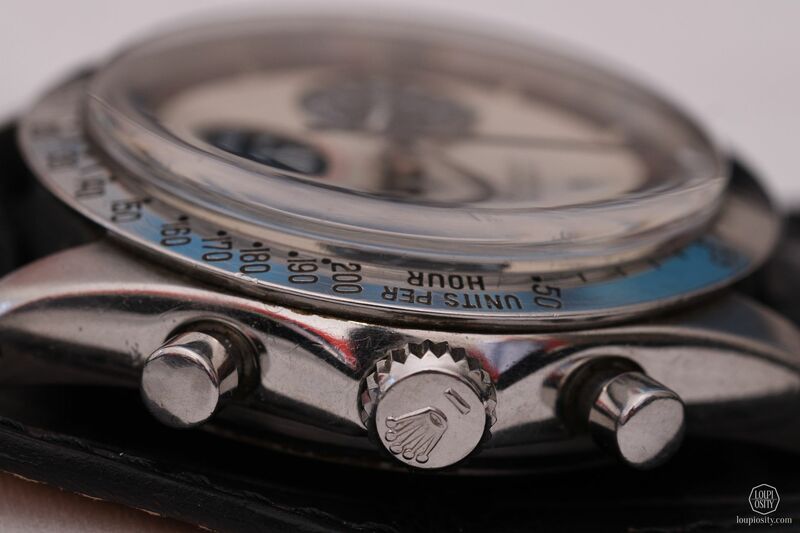 The fact that his positive reach is far greater than that of Bao Dai, can easily result in an audience made up of a mixture of religious watch collectors, and others normally not into watch collecting but emotionally driven by his ghost. The auction will take place on 26 October 2017 in Phillips’ New York Park Avenue headquarter (450 Park Avenue, New York, NY 10022). 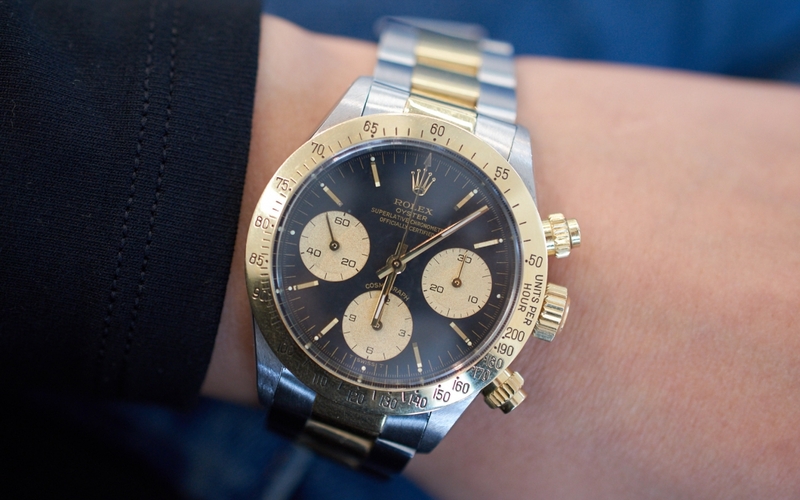 Paul Newman’s Rolex Cosmograph Daytona is just one of the 50 LOTs at Phillips’ Winning Icons sale. Find few more interesting pieces here. 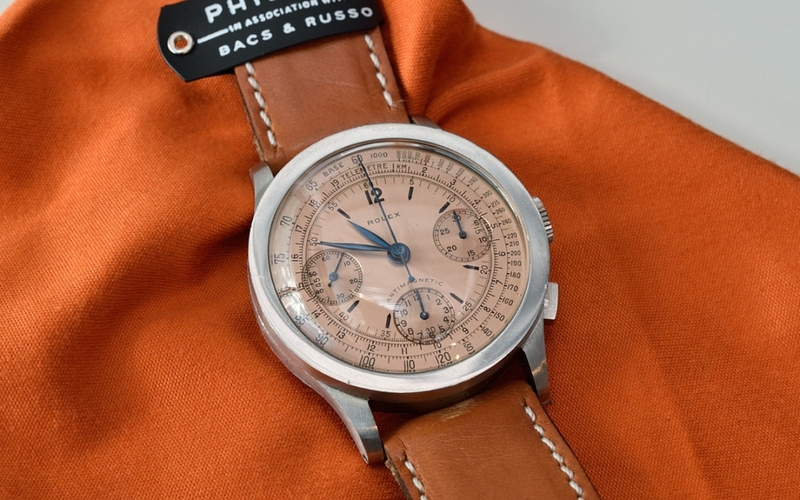 Phillips – Winning Icons In this article we focus on Phillips’ first major US watch auction, which lines up models from the 20th century that set a certain trend, or stood out with their character or with their extreme rarity. Let me show you a few “Winning Icons” I found particularly moving. 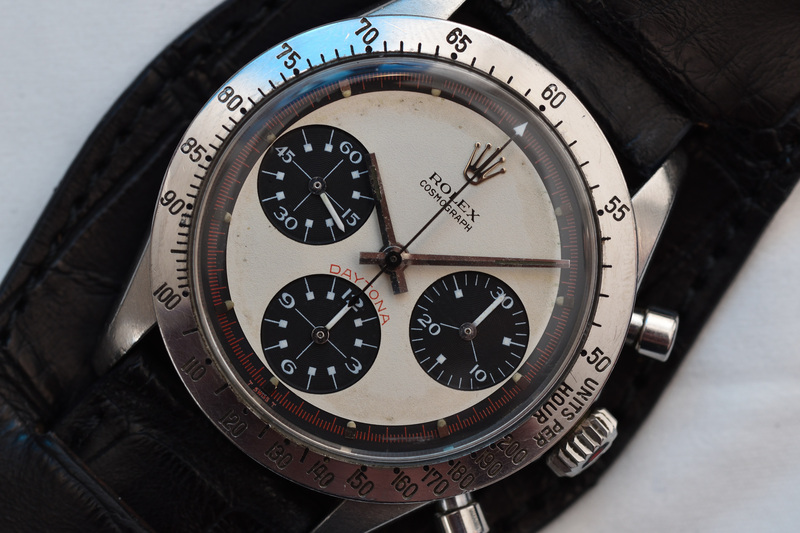 Phillips Geneva Watch Auction: Five – Rolex This May two outstanding Rolex Ref. 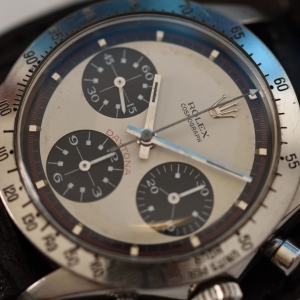 6062 achieved world record prices at Phillips Geneva Watch Auction - Five.